We’d love your help. Let us know what’s wrong with this preview of The Motivated Networker by Brian E Howard. The Motivated Networker is a practical, non-nonsense guide for networking during a job search. When 60-80% of all jobs are filled through some form of networking, mastering the skill of networking is imperative to success in landing a new job in the shortest time possible! 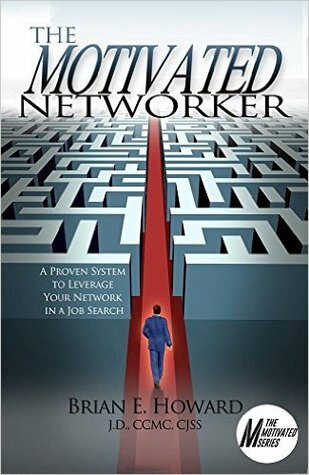 Brian Howard provides a proven and systematic approach for helping thousands of job seekers find hidd The Motivated Networker is a practical, non-nonsense guide for networking during a job search. When 60-80% of all jobs are filled through some form of networking, mastering the skill of networking is imperative to success in landing a new job in the shortest time possible! Brian Howard provides a proven and systematic approach for helping thousands of job seekers find hidden job market openings leading to job offers. This book gives you a distinctive competitive edge by teaching networking techniques that will create job leads, interviews, and a fulfilling career position! To ask other readers questions about The Motivated Networker, please sign up.